I just love the name, it came from the Dutch logs that mentioned it as Waterkasteel. But to me it is essentially a Royal Baths, is where the royals have their baths. The tunnels used to connect between the palace and the baths. A legend also said that one of the tunnel also leads to somewhere in the south coast where the Indian Ocean is. Built in the 1700s at the order of local Sultan, but they are still debating who was the architect. 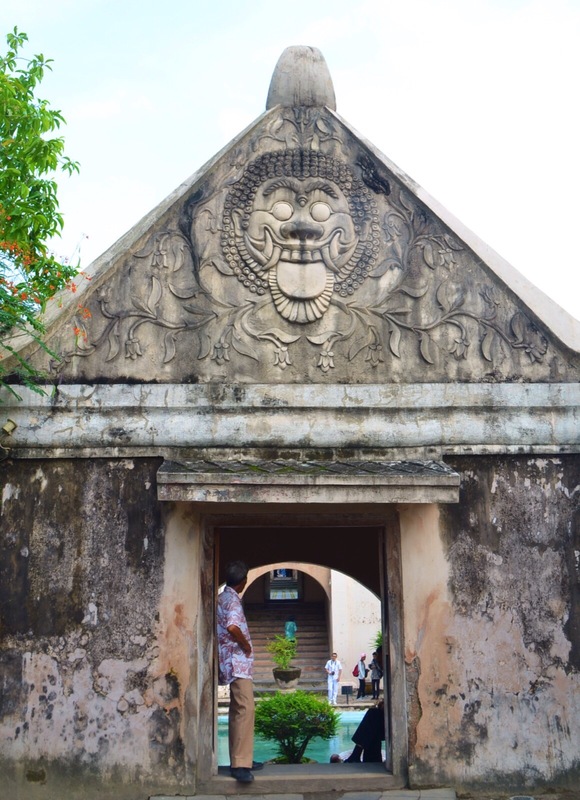 A local manuscript Serat Rerenggan mentioned Demang Tegis – which is a Portuguese Man who was marooned on the south coast, who at first local thought was a fairy, who then became the Sultan’s help, built this. 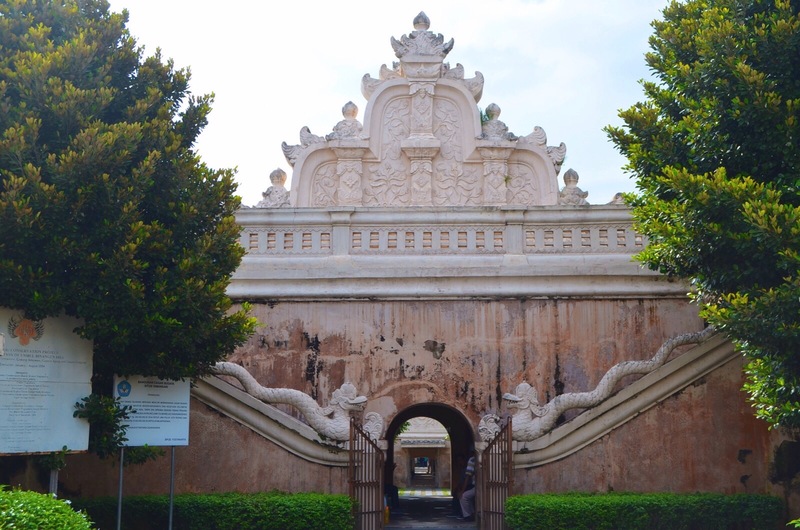 But then there are scholars who said it couldn’t possibly be, because the design is very Javanese, and they said that they could not found any story of the place being built in the Dutch government logs. Man-made lake is impressive for that time. It sounded like a really pretty gardens, and baths, it also even used to have man made islands. Now the lake is filled with dwellings of people who works for the palace – or they call them Abdi Dalam. I really like this place! 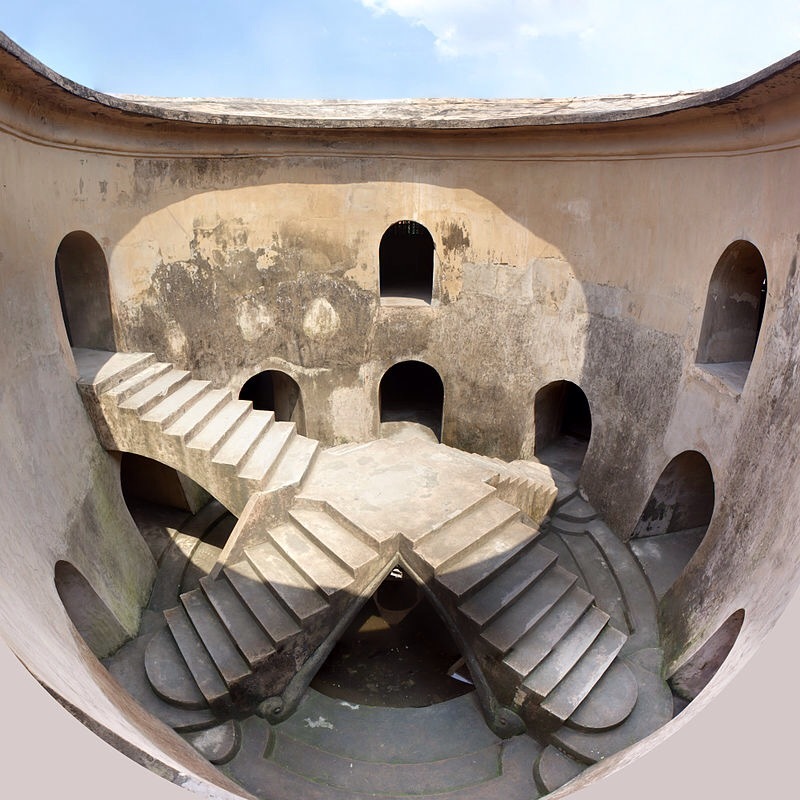 To get there you go down to a dark tunnel and then there is this big circular room with a circular opening in the inside that has an open top, with four stairs from leading up to a platform in the middle which is on top of a small bathing place. I am not sure why I have not got a picture of it, probably because when I was there, there was a fashion shoot happening in the middle of the platform. So this pic is from Wikipedia creative commons. There are so many stories about this areas is so fascinating and intrigued my imaginations. The place is simply beatiful and magical, I think anyway. Have you been? What did you find most interesting? 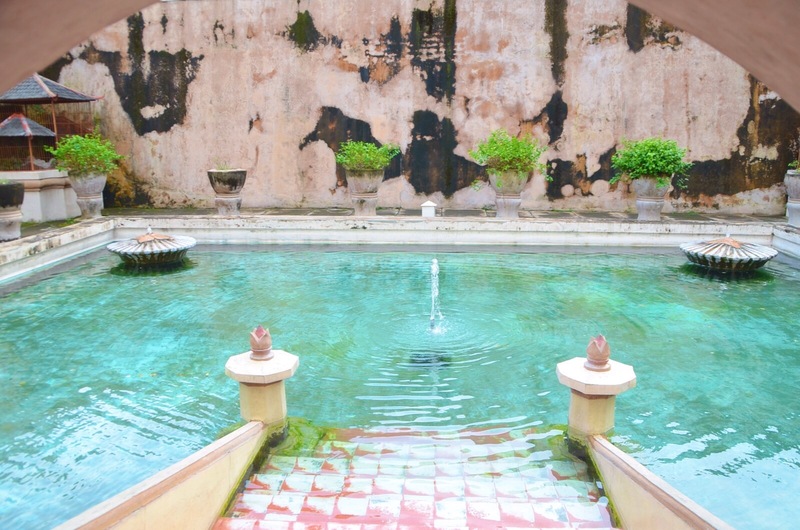 Do you know any other royal baths that exist in Indonesia? btw foto pertama facade nya mirip arsitektur India ya.. I love the ambiance in Taman Sari. 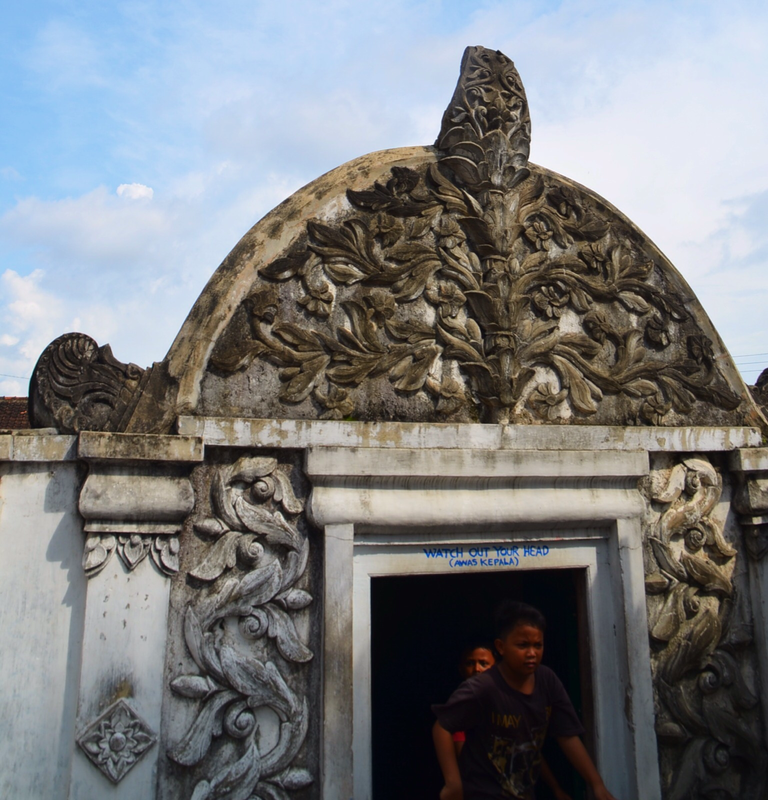 It is mysteriously beautiful with the background story of the sultan peeking at the women bathing there or the secret meeting spot of the sultan and Nyai Loro Kidul not to mention the labyrinth. I see the place has been dusted, it is clean and neat now. Stunning pictures you made there dear. Yes, there is so many stories right mba? If it was in UK or South Korea there are plenty of period dramas that can come out from this place. Was is it not clean when you were there mba? ps. are you still there in Yogya? and have you visited Ullen Sentalu? that was also one of my most fave spot in Yogya. Haha! YES you are right re: Nyai Roro Kidul. It directly connected they say, if it is true it would have been so fun to go straight in the tunnel right? I am not still in Yogya, I have been back for awhile, I have just been tres lazy. Hahaha. No, I didn’t go to Ullen Sentalu, maybe next time, it was on my plan, but my mum was being difficult. hahaha. I will definitely go next time! must! I’ve never been outside Jakarta/Bali unfortunately mainly because of transport problems as I’m unsure of how safe taxis are in Indonesia. Ah really? Yogya is pretty safe and if you stay in the centre it shouldn’t be hard to get to places, you can always take a becak or , you can just hire a car. Let me know if you plan to go I can give you some good drivers, but the taxis are pretty good too. Aku malah belum pernah masuk, malah keluyuran ke angkringan di sekitar Taman Sari.. aduh banyak dan enak2 hehe. Next time harus masuk deh, dan lebih awal dtg nya tutupnya cepet sih ya. The photos and images on this blog belongs to me, unless otherwise mentioned. I don't mind people using them for personal use, but do ask me to do so. I will request an appropriate credit to the blog. Otherwise I will consider it a copyright infringement.